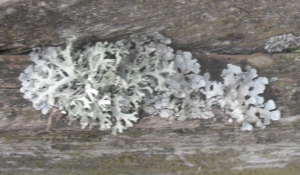 Observation - Foliose lichen (Hypogymnia physodes?) - UK and Ireland. Description: Bluey green foloise lichen found in rural fields very near an orchard. Bluey green foloise lichen found in rural fields very near an orchard.